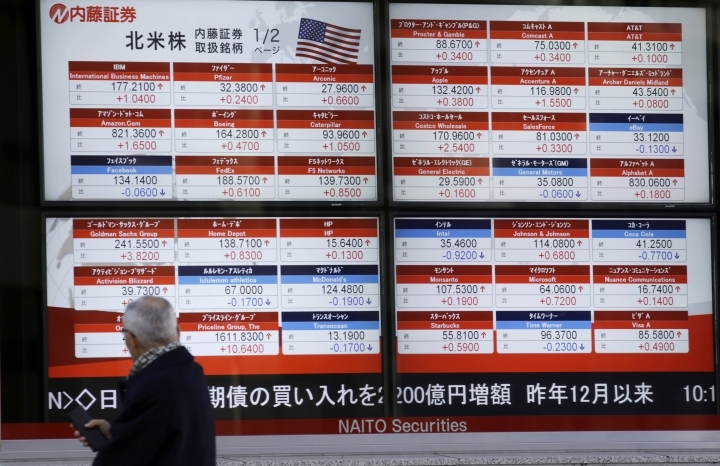 HONG KONG — Asian stocks advanced Friday led by big gains in Japan after U.S. President Donald Trump promised that he would soon cut taxes for businesses. 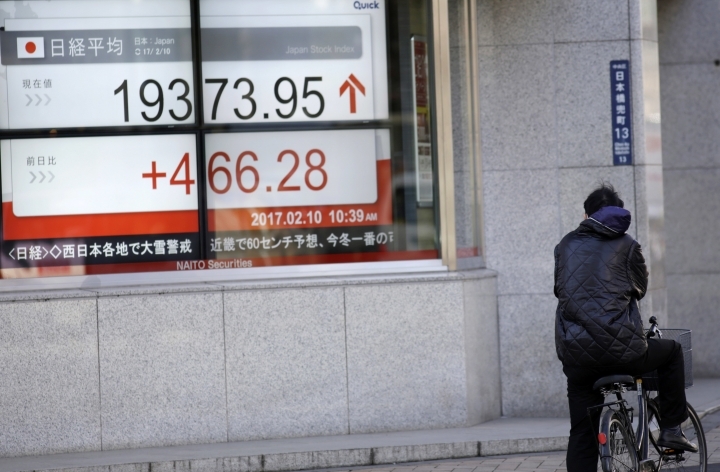 Japan's benchmark Nikkei 225 index surged 2.3 percent as the yen weakened against the dollar, lifting shares of exporters. 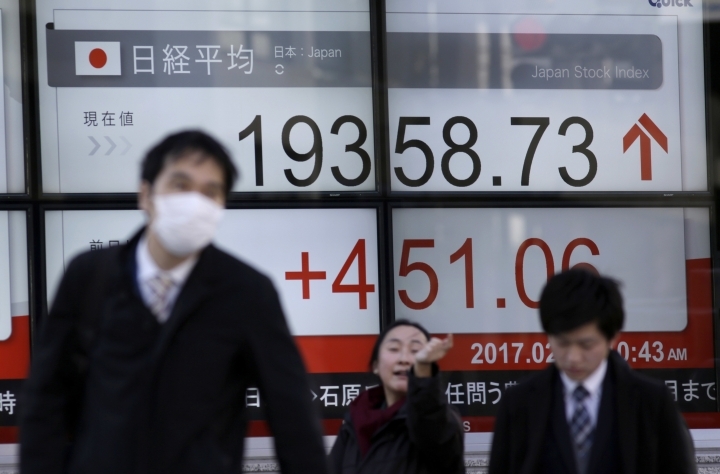 KEEPING SCORE: Japan's benchmark Nikkei 225 index surged 2.3 percent to 19,349.53 and South Korea's Kospi added 0.5 percent to 2,075.49, Hong Kong's Hang Seng rose 0.6 percent to 23,655.28 and the Shanghai Composite in mainland China gained 0.4 percent to 3,196.74. Australia's S&P/ASX 200 jumped 0.9 percent to 5,716.40. TRUMP ON TAXES: In a meeting with airline and airport executives, Trump vowed to roll back government regulations and said he would announce a plan in the next three weeks to reduce taxes for businesses. The comments were short on details, but encouraged investors who have been waiting to see how Trump follows through on campaign promises to boost economic growth. THE QUOTE: "We face a nice pop in Asian equities on open thanks largely to Mr. Trump," said Chris Weston of IG Markets in Melbourne. "The market loves the idea of tax reform. It has corporate tax cuts in its sights and if Trump can push that along with a more simplified personal tax regime the U.S. and global equities will find buyers." MR. ABE GOES TO WASHINGTON: Markets are awaiting the outcome of Japanese Prime Minister Shinzo Abe's meetings with Trump on Friday and the weekend. Japanese companies, worried about Trump's complaints over trade and exchange rates, hope Abe can get him to buy into a job creation and investment package. WALL STREET: The Dow Jones industrial average rose 0.6 percent to 20,172.40. The Standard & Poor's 500 index gained 0.6 percent to 2,307.87. The Nasdaq composite index added or 0.6 percent to 5,715.18. 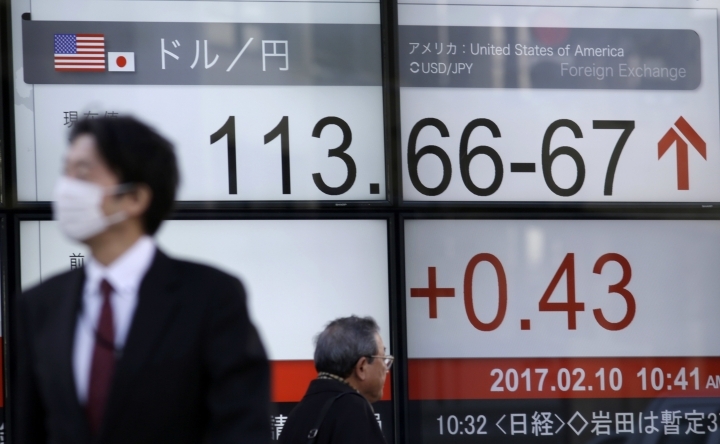 CURRENCIES: The dollar was flat at 113.64 yen, bringing its gains for the week to about 1 percent. The euro rose to $1.0663 from $1.0653. ENERGY: Benchmark U.S. crude rose 9 cents to $53.09 a barrel in electronic trading on the New York Mercantile Exchange. The contract rose 66 cents, or 1.3 percent, to close at $53 a barrel on Thursday. Brent crude, the benchmark for international oil prices, gained 5 cents to $55.68 a barrel in London.